Would you like to connect and participate in your own community each day? You can with our Community Participation Program. Check out our My Aged Care funded community programs for seniors in South East Queensland. Did you know that people with disabilities can receive less funding because they are over 65? Help fill the gap. We are specialists in the field of dual sensory loss. Find out more about how we can support your needs directly. Able Australia is a leading provider of disability services and community supports helping adults and seniors to live the life they choose. We have been proudly supporting our clients reach their full potential for over 50 years and provide services in Melbourne, Tasmania, ACT and South East Queensland. Looking for adult disability services supported by the NDIS? We can help you to access services and answer your NDIS questions. Your gift of donation is greatly valued and makes a real difference to the community supported by Able Australia. Looking for disability services in Melbourne or transport services in Queensland? Check out where our services are offered. Make a difference to others. Become part of a team that is enthusiastic and passionate about achieving excellent results. 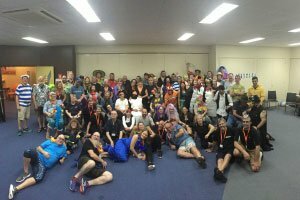 Able’s annual Deafblind Camp gives Deafblind people from around the country a time and place to come together in a safe environment with 24/7 support. In March, the 2019 camp ran on Phillip Island in Victoria. “It’s the only time we can truly be ourselves,” one camper said. 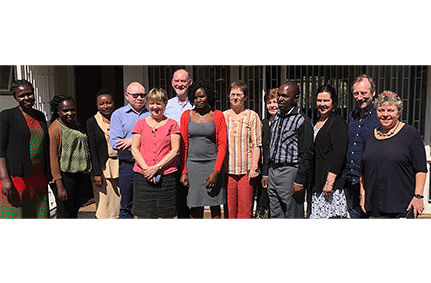 In Nairobi, Kenya earlier this month, Gary Daly, Able Australia Special Projects Coordinator, attended the Deafblind International (DbI) Management Committee where challenges facing deafblind people around the world were discussed. 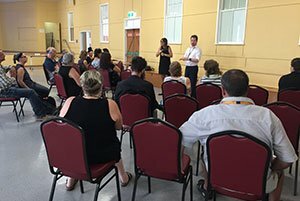 On 12 March, Able Australia had the opportunity to present to some of the Queensland Deafblind community about the National Disability Insurance Scheme (NDIS). The session was led by Able’s Senior Support Coordinator Justin Elks. Keep up-to-date with latest news, events, government reforms, the NDIS and activities at Able Australia.